Monday, June 2, 5:00 p.m.
On June 2, Kepler's will host the “Junie B. Jones Stupid Smelly Bus Tour” -- a national tour, sponsored by Random House Children’s Books, that brings Junie B. live and in-person, across the country to meet her fans. Junie B. will ride in the Stupid, Smelly Bus to 21 cities for fun-filled events. Fans will enjoy Junie B.‘s hilarious antics through live, theatrical performances based on the bestselling Junie B. Jones series. Events will also include cool Junie B. giveaways, and an official “book stamping.” Come along for the ride! Tickets are $5 per person and are available both at Kepler's and online HERE. Junie B. Jones "Stupid Smelly Bus Tour"
This summer, Random House Children's Books will launch the 9th JUNIE B. JONES STUPID SMELLY BUS TOUR—a national tour that brings Junie B. Jones, live and in person, across the country to meet her fans. She will ride in the Stupid Smelly Bus to selected cities for fun-filled events. Fans will enjoy Junie B. 's hilarious antics through live theatrical performances based on the bestselling Junie B. Jones series. Events will also include cool Junie B. giveaways and an official book stamping. Everybody loves Junie B. Jones! Today we will read bits from her favorite (and funniest) adventures, and then we’ll have some great activity pages to send home with you. June is Junie B Month! Come listen to a little Junie B. Jones and do some activity pages. Plus, you'll get to take home a Junie B. mini calendar! Chicago Public Library discusses Junie B. Jones and the Mushy Gushy Valentime. Barbara Park , Junie B., First Grader: Dumb Bunny. Meet bestselling author Barbara Park and Junie B. Jones in the flesh! Today the Stupid Smelly Bus Tour comes to Tempe, where Junie B. will present her outrageous "Trunk of Junk" show-and-tell and host some cool prize giveaways. This exclusive event will be held at the Marcos de Niza High School cafeteria in Tempe. Purchase one copy of any Junie B. Jones book at Changing Hands and receive one ticket to the show and booksigning for just $5. Each ticket admits two people (kids 2 and under are free). PLEASE NOTE: Due to large demand, Barbara Park will sign only one book per customer, while Junie B. will stamp up to five copies of any Park title. 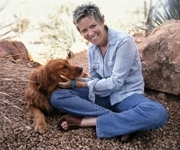 Barbara Park is currently considered a "single author." If one or more works are by a distinct, homonymous authors, go ahead and split the author. Barbara Park is composed of 8 names. You can examine and separate out names.